There has been a lot of chatter about late night television recently with Stephen Colbert finally taking over for David Letterman on The Late Show Tuesday. It feels like the process has taken years: From Letterman's retirement announcement, the hunt for the successor, the unveiling of Colbert as the new host, until now, finally the transition is complete. While the focus has largely shifted to what Colbert will do as the new host, there has been a noticeable absence on TV as, for the first time in decades, Letterman is missing from the line up. While some TV hosts (who shall remain both obvious and nameless) have been unable to leave the limelight, Letterman has been largely invisible since signing off just a few short months ago. 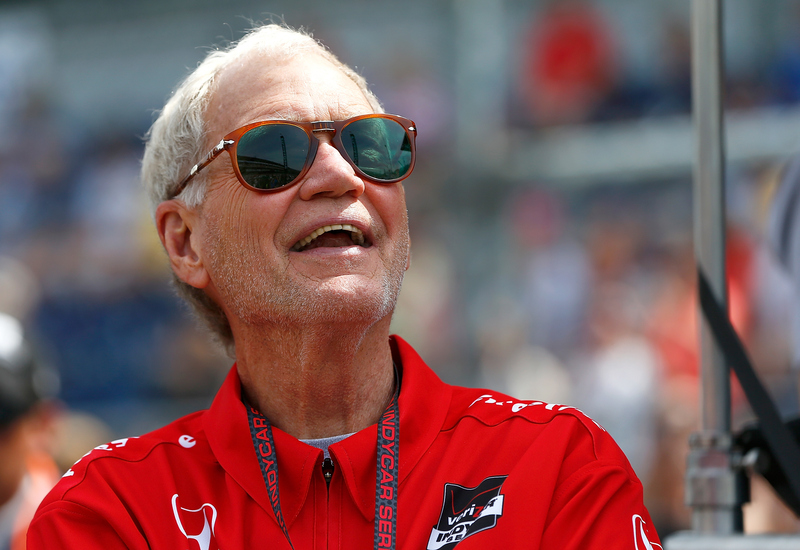 So, what has David Letterman been up to? Well as it turns out, he's actually been relaxing and enjoying his retirement. In fact, it sounds like this is one host who might never return to our TV screens. Facts about what he has been up to have been scarce, except for a post-retirement interview to Indianapolis Monthly where he discussed his plans for the future. Spoiler alert: It sounds pretty peaceful. I wasn’t born helpless, but when I first started doing the show, my manager said, “You’re going to need an assistant.” I asked why, and he said, “Well, you’ll need somebody to make phone calls.” And I thought, I can’t make my own calls? As it turns out, after all these years of having someone make my calls for me, I can no longer operate a telephone. "I don't know what to do with my hair, either. But I'll never wear makeup again, so that's no problem," he said. Guess that means he really doesn't have any plans to return to TV. He's doing him right now, and going through the self-discovery most people undergo when they stop doing something they'd been doing for years. "It’s stunning what you find out about yourself when everything you've done for 33 years changes. It's like ice melting out from under you," he said. "I know that regular, responsible people probably hear me whining like this and think, 'Oh, brother.' But I'm trying to rehabilitate myself, so keep me in your thoughts and prayers." It must be akin to graduating college. I wouldn't be surprised if he takes up yoga and goes backpacking through Europe next. I love fishing with my son. Any kind of trout fishing where you can stand in the river is just delightful. I don't know what I'm doing, but I can stand in the river. I'm pretty good at that. And isn't that 90 percent of it? Of course, if Letterman decides he wants to get back into the showbiz game, I have no doubt that he could do so with ease. He's already popped up on Seinfeld's Comedians In Cars Getting Coffee , he could easily appear on other other talk shows. Many would be happy to see him again, but for now he seems pretty happy laying low.